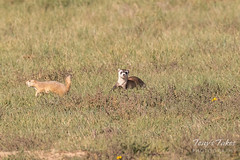 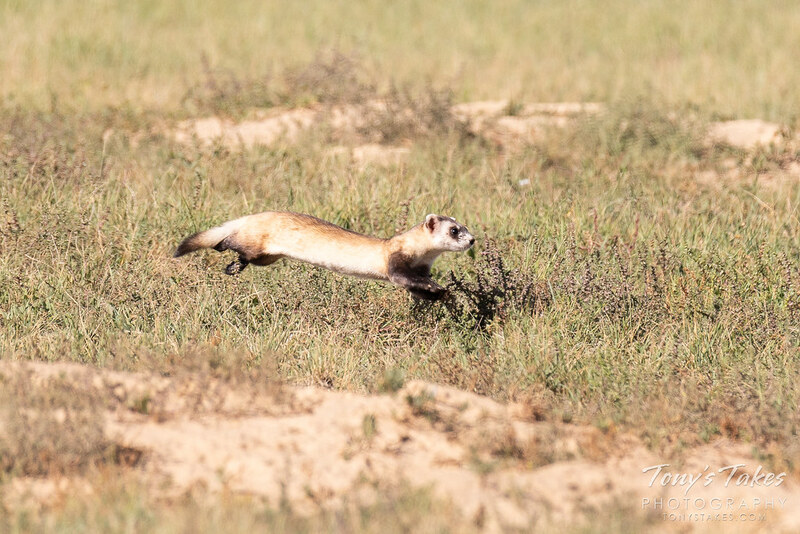 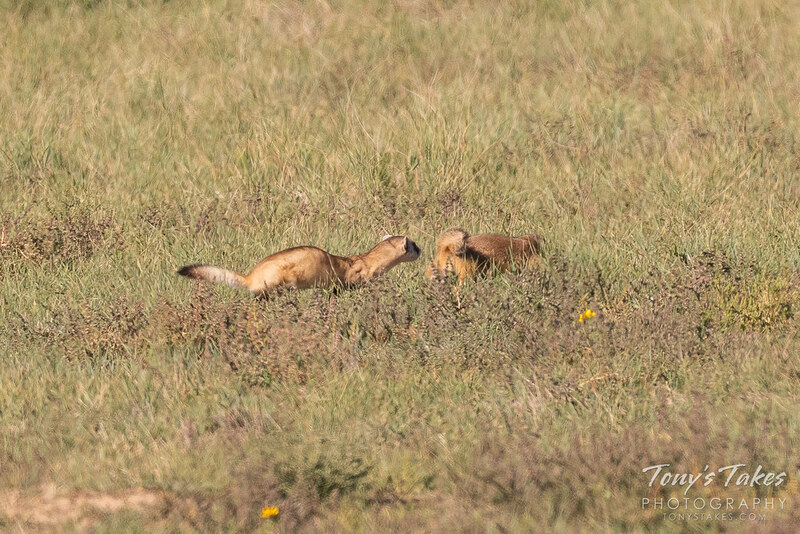 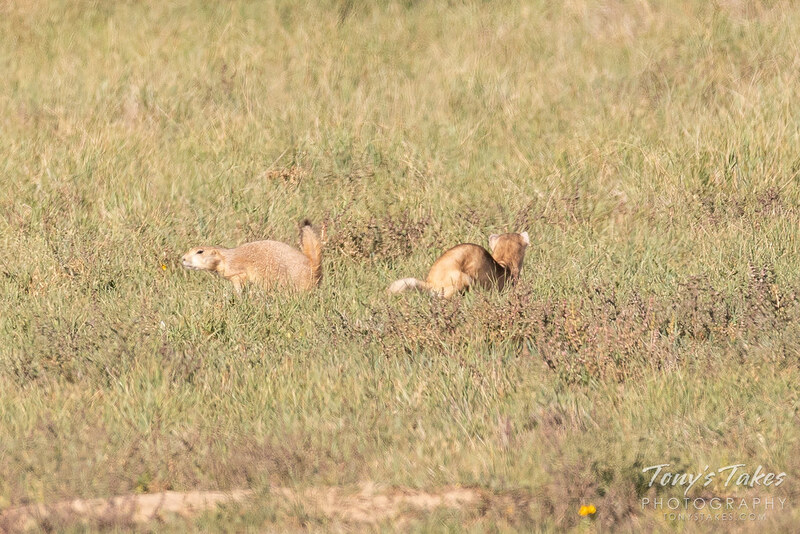 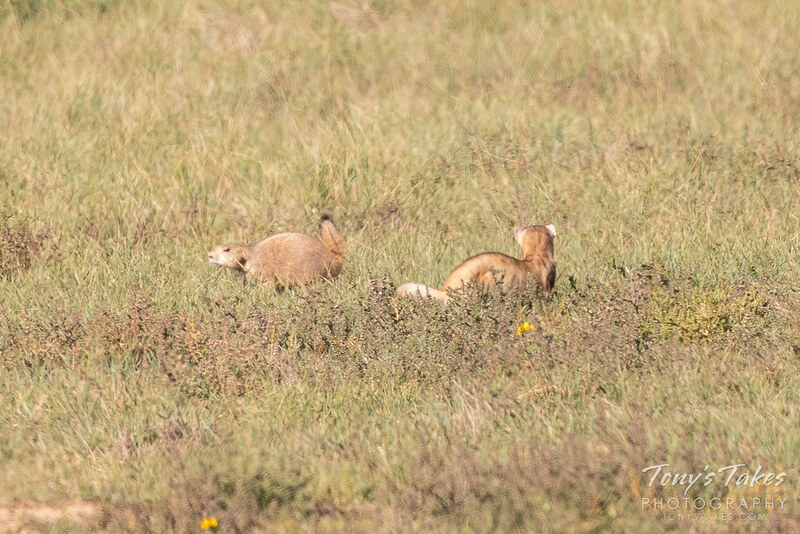 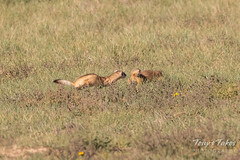 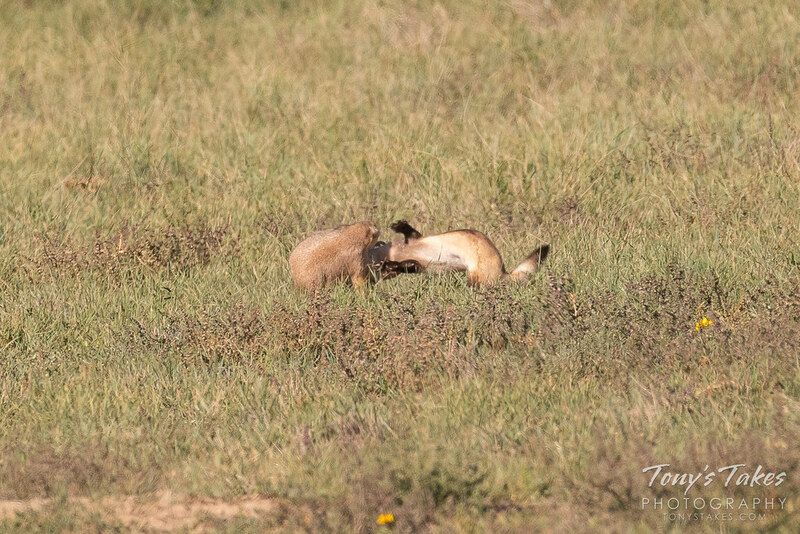 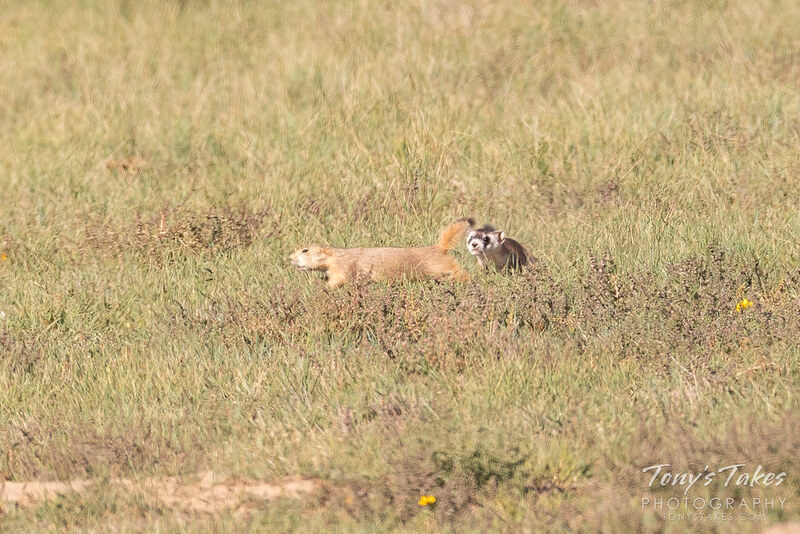 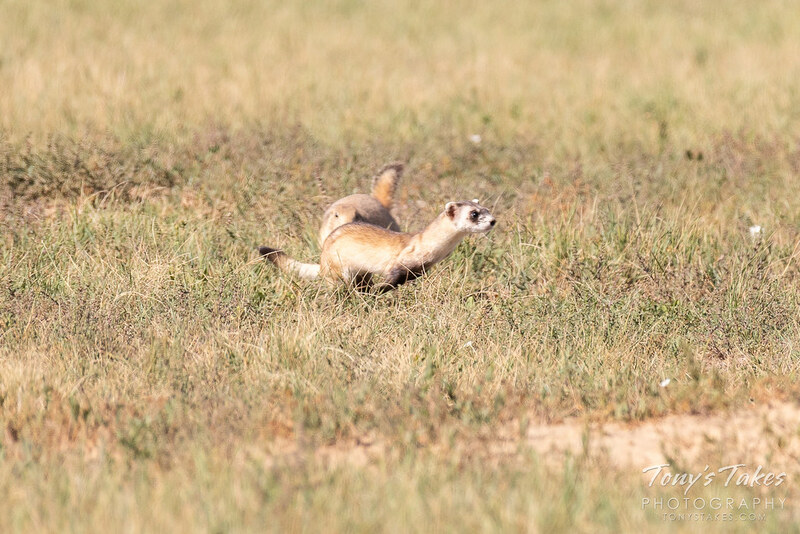 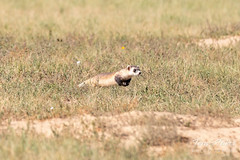 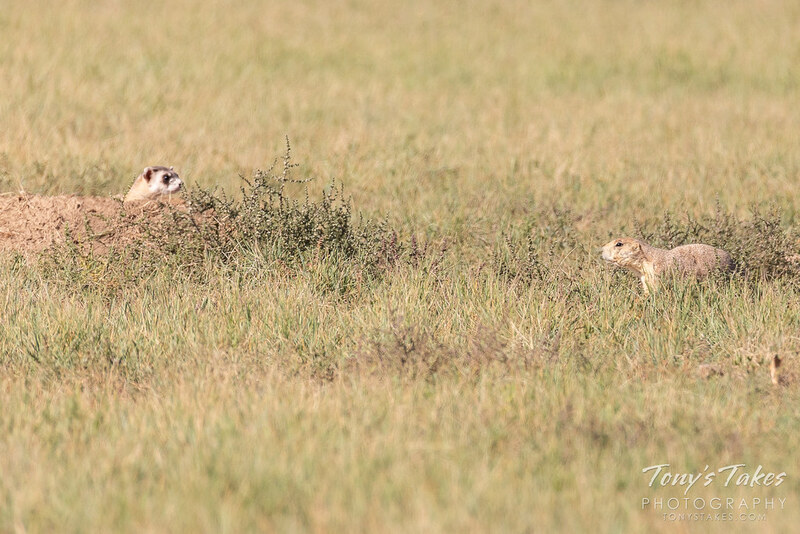 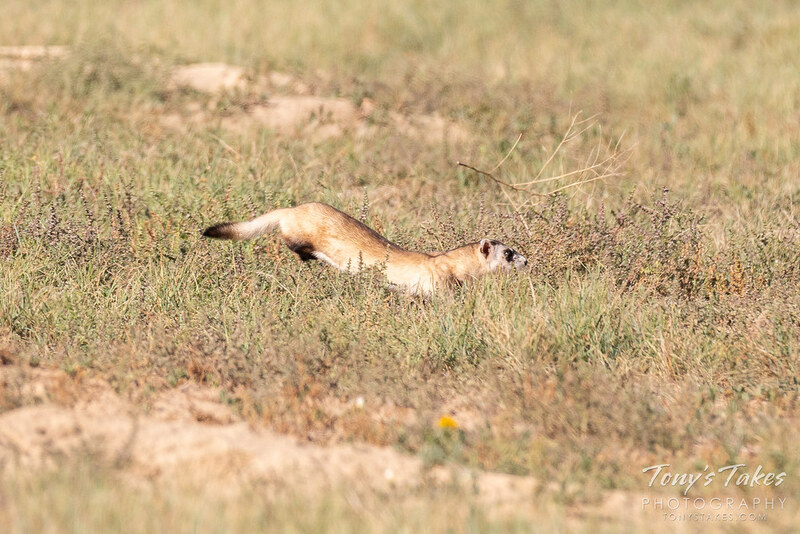 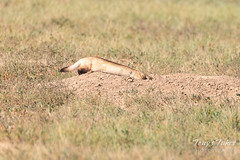 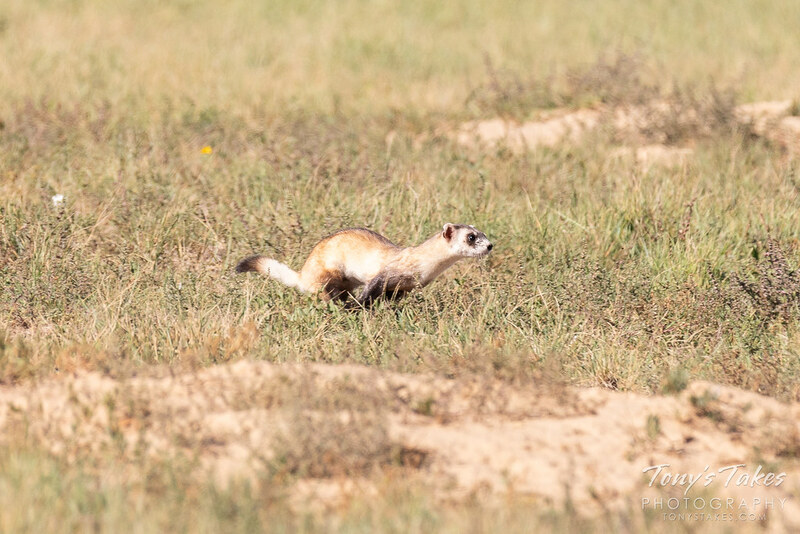 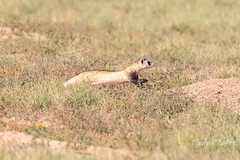 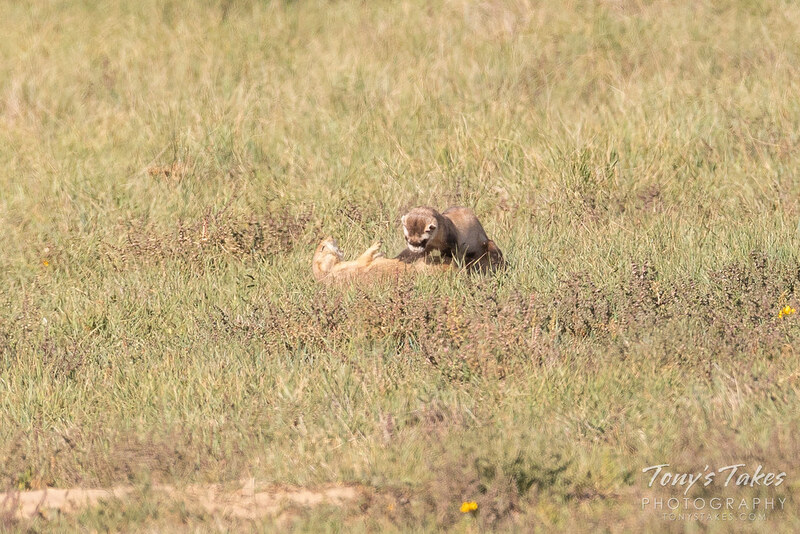 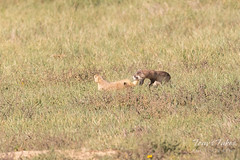 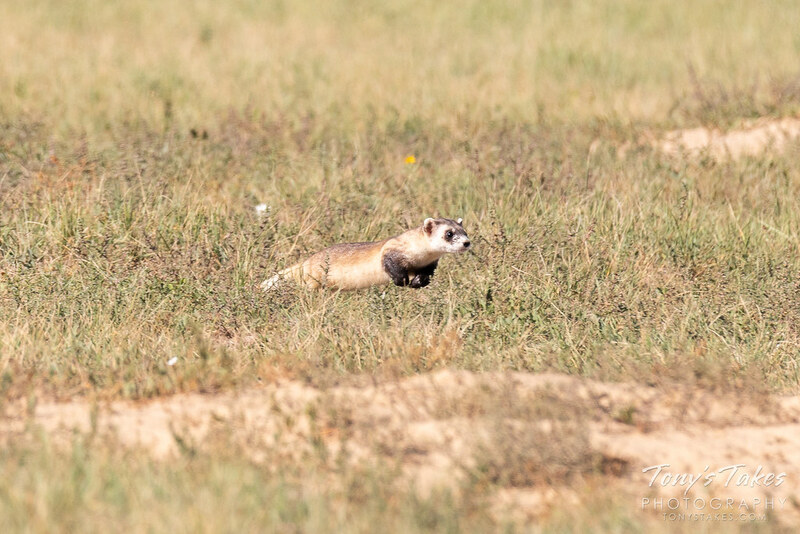 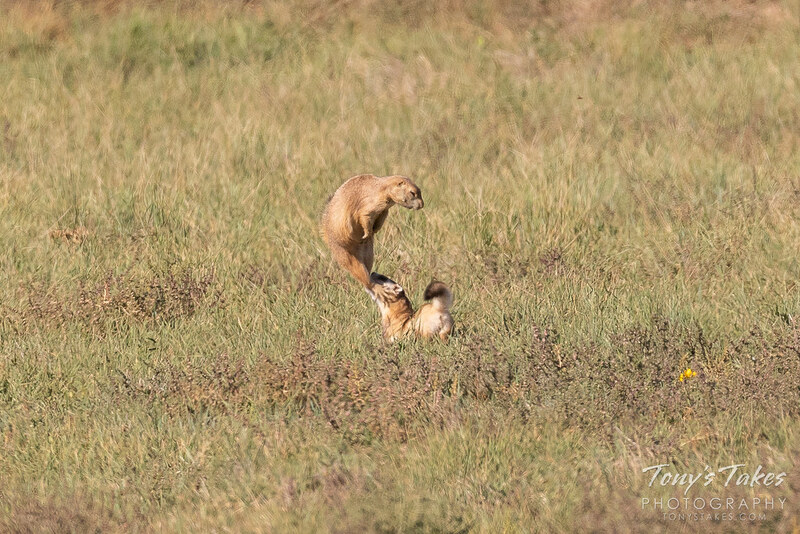 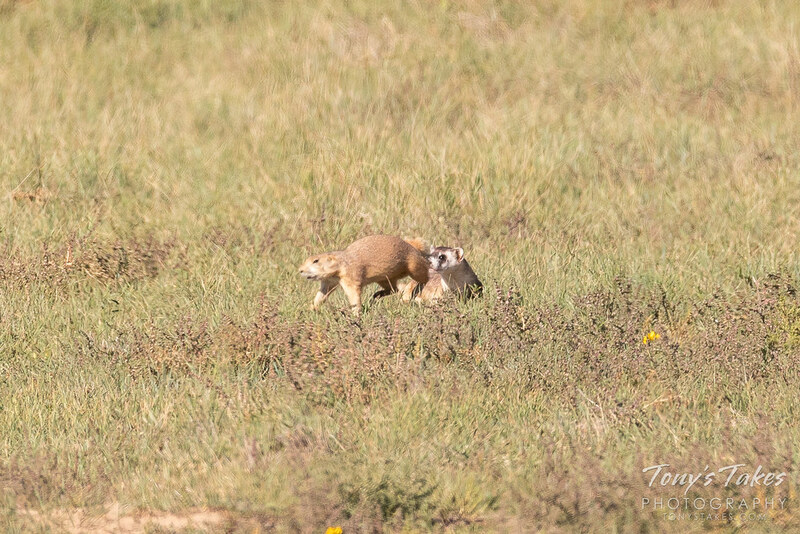 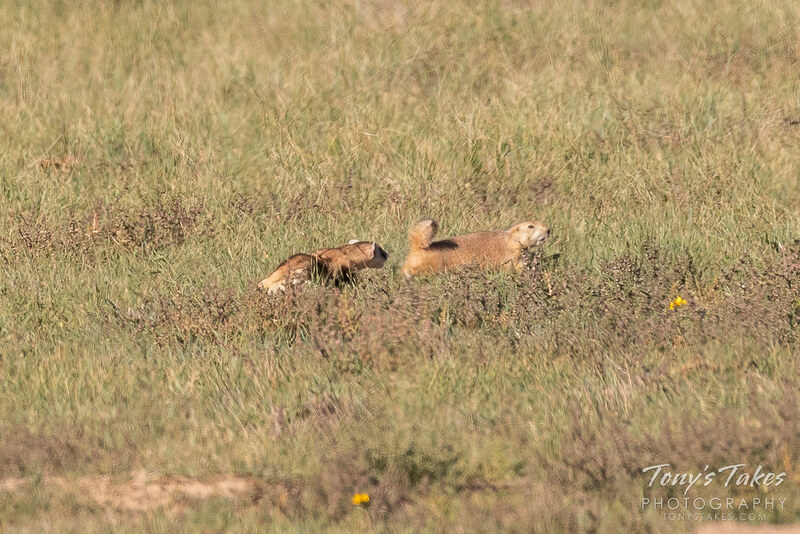 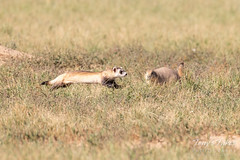 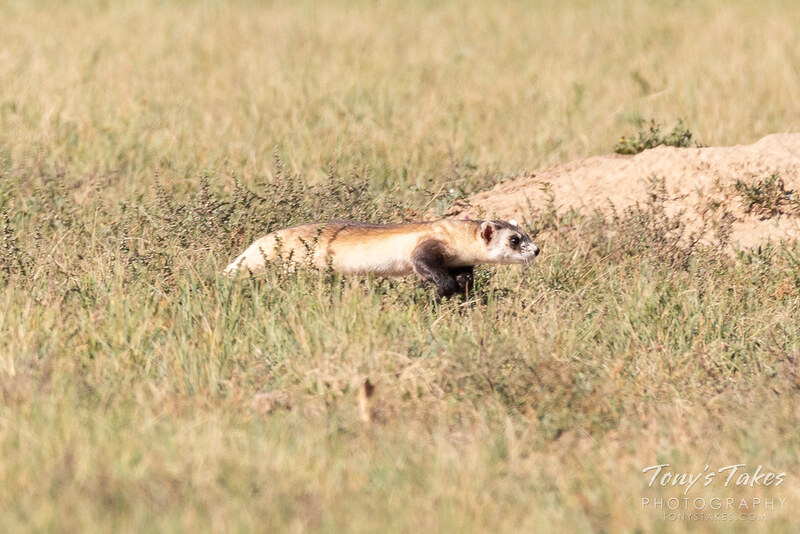 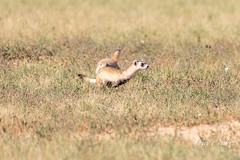 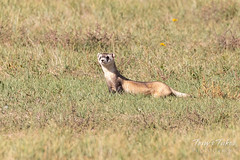 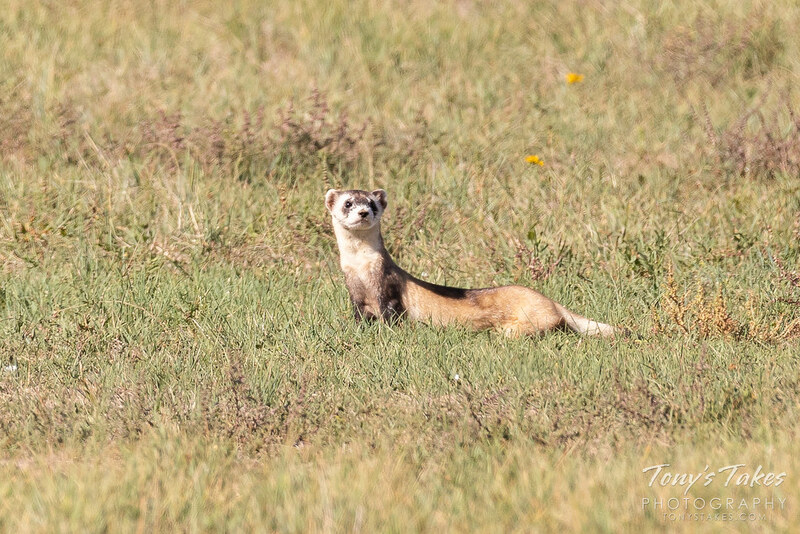 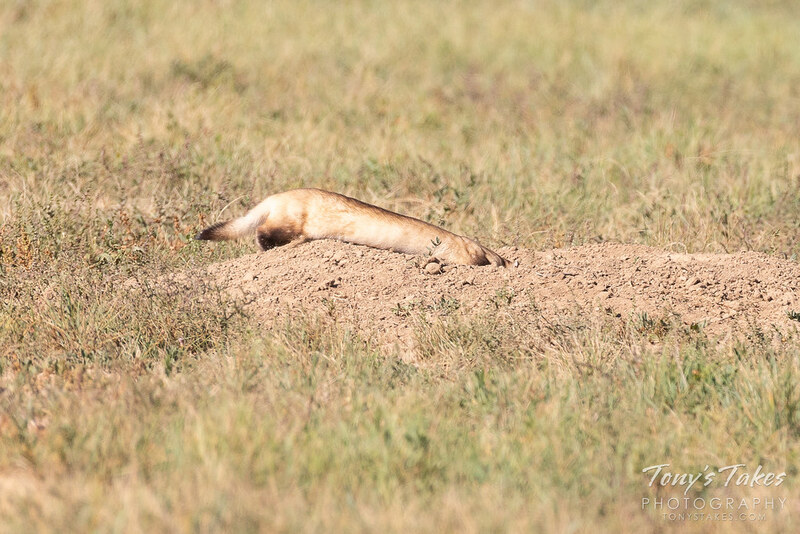 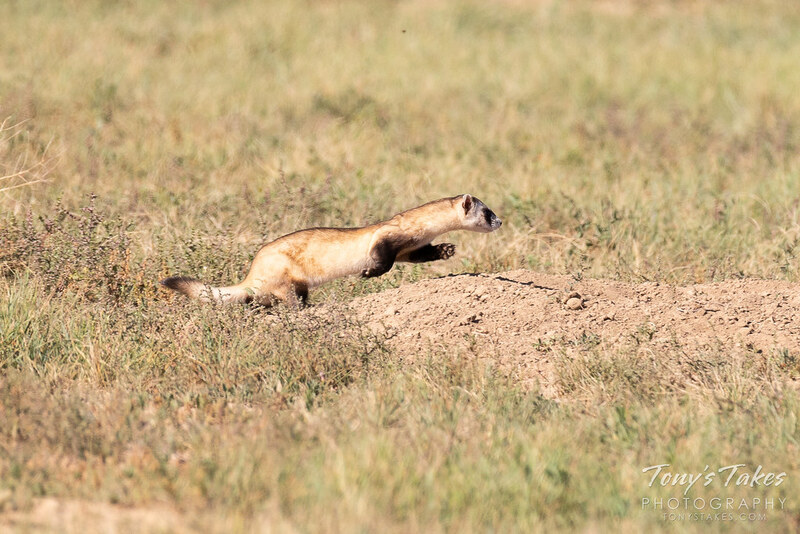 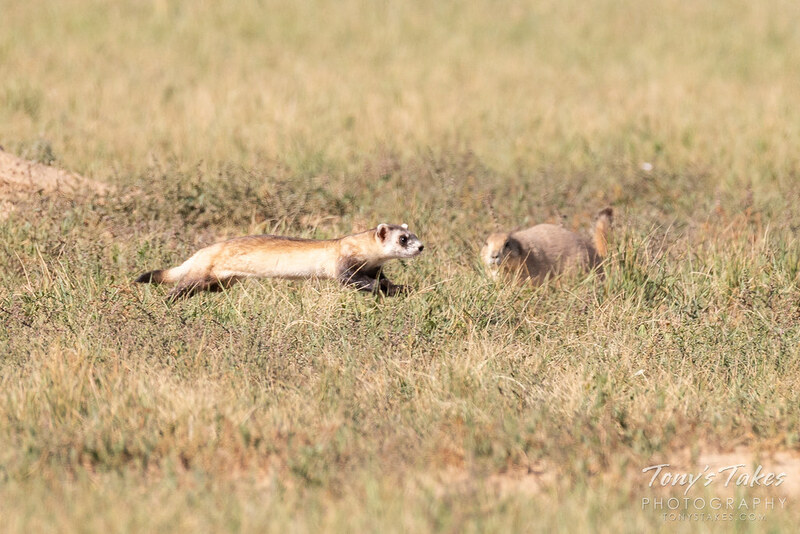 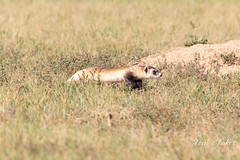 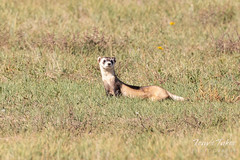 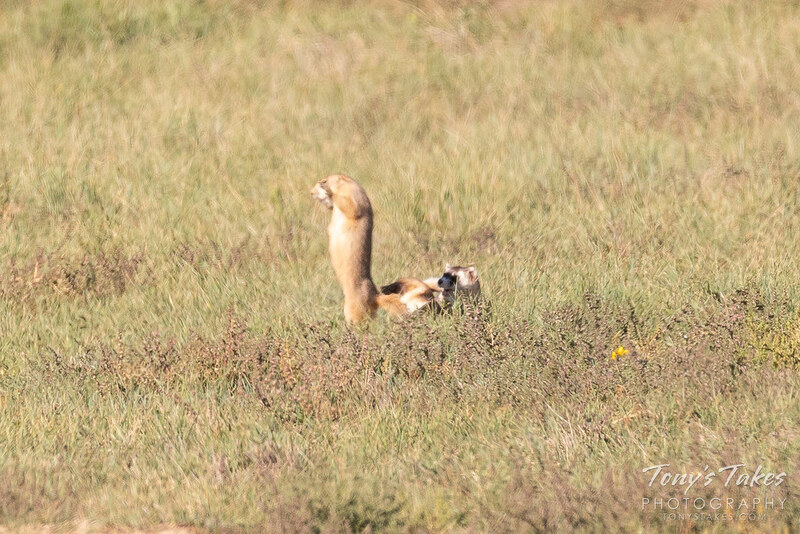 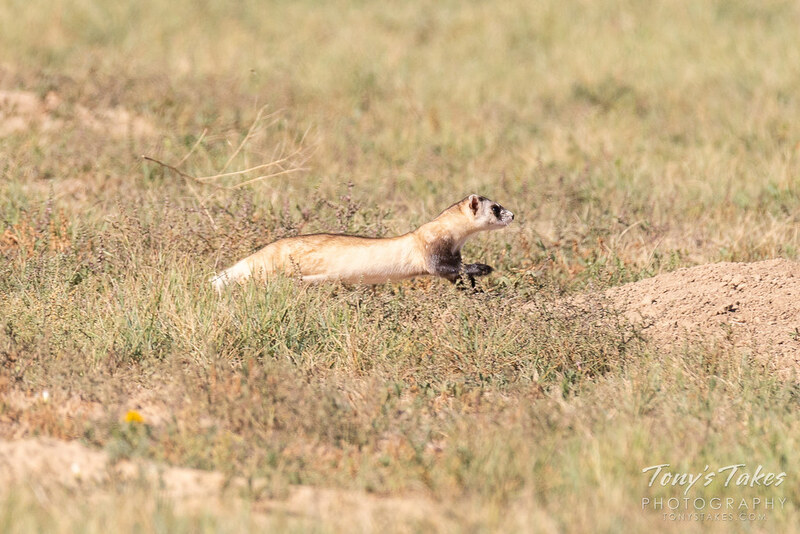 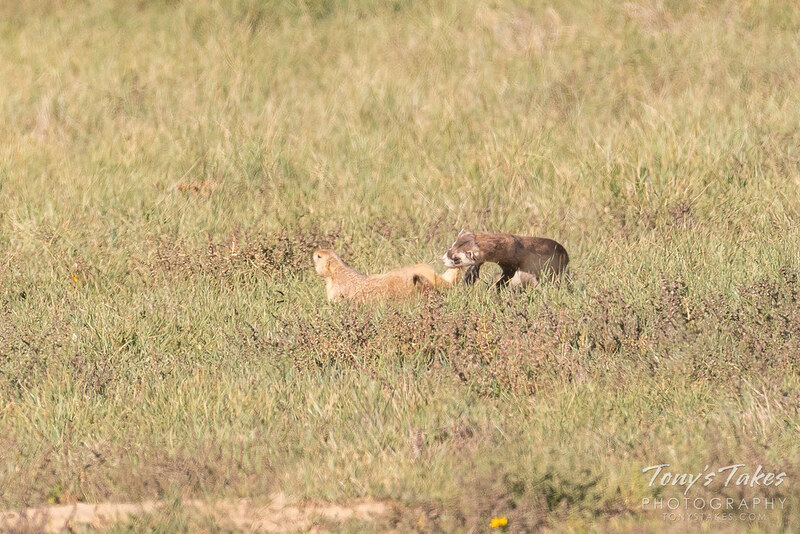 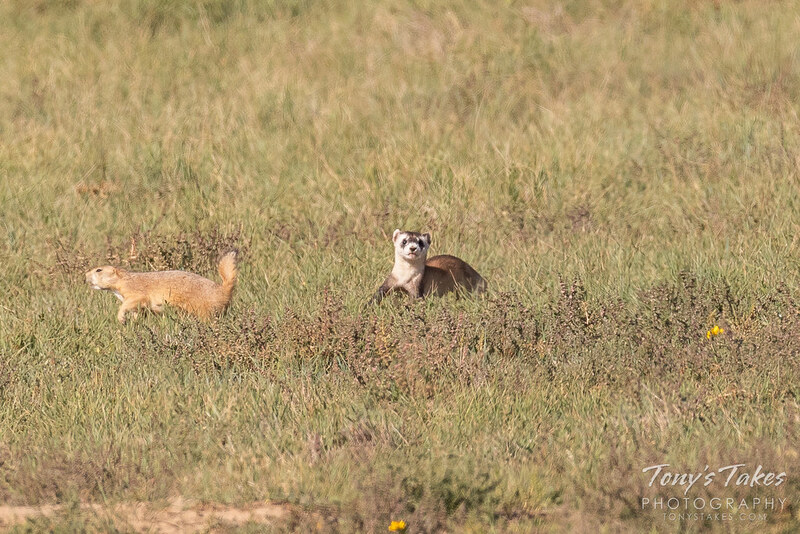 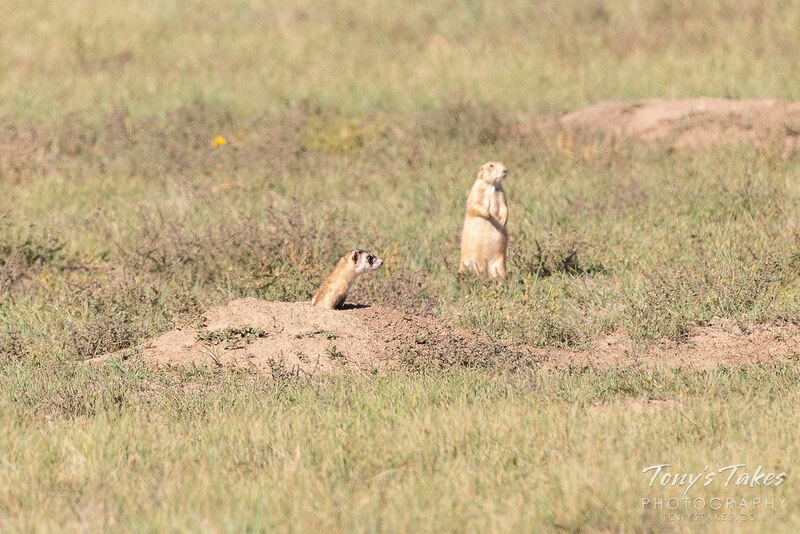 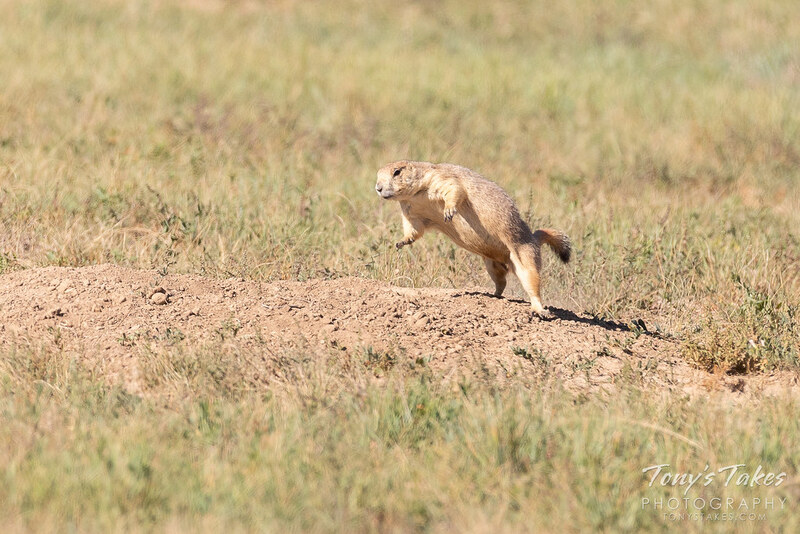 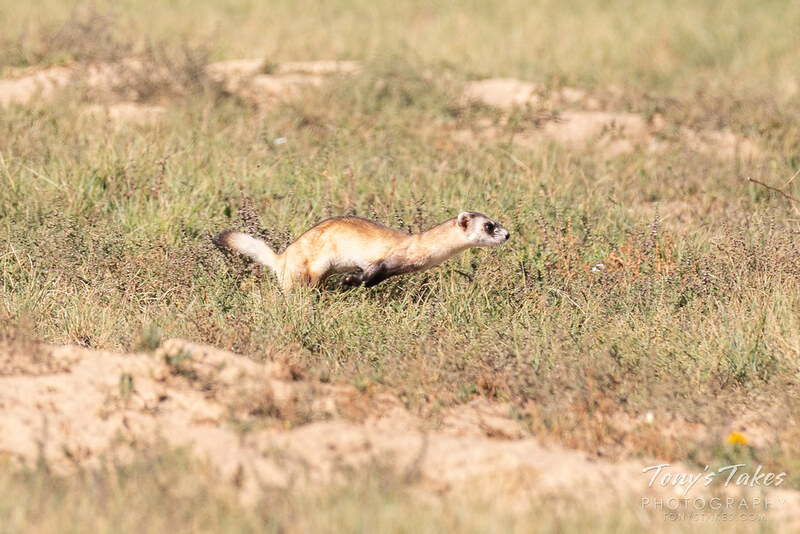 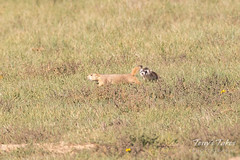 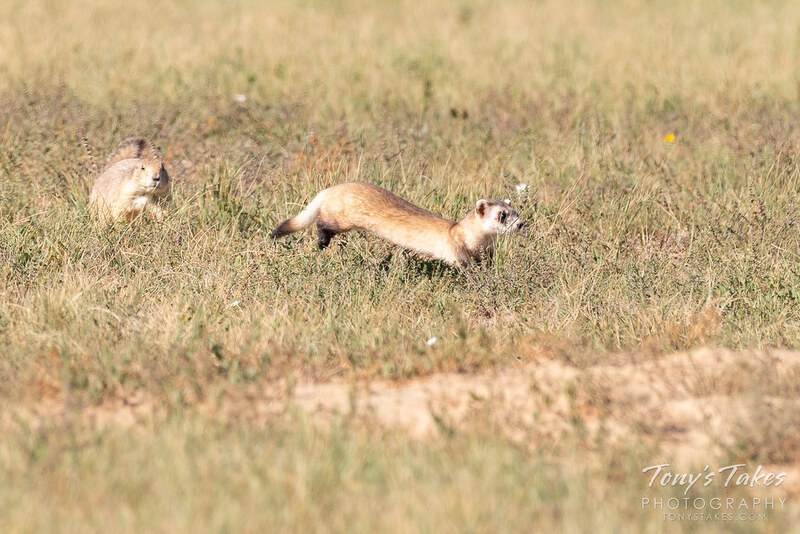 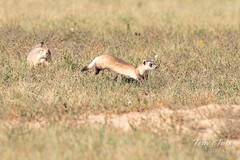 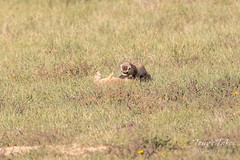 Getting to see North America’s most endangered mammal, the Black Footed Ferret, is a rare and special treat. 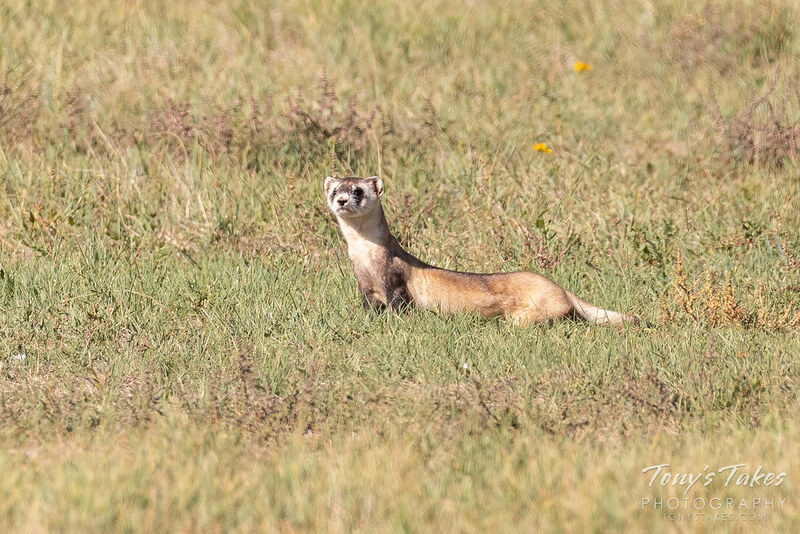 Since their reintroduction to the Rocky Mountain Arsenal National Wildlife Refuge, I have only seen one twice, this being one of those occasions. 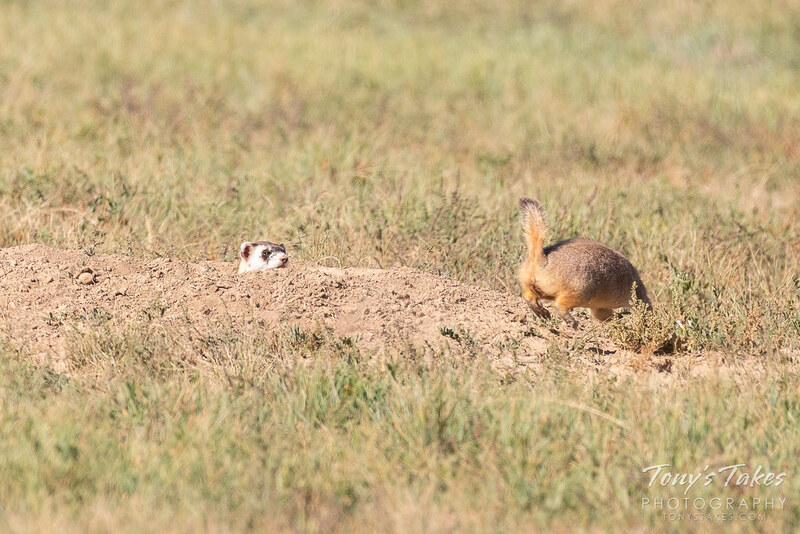 After spending two hours watching and waiting for the ferret to do something, it went into a burrow and seemed to be done for the day. 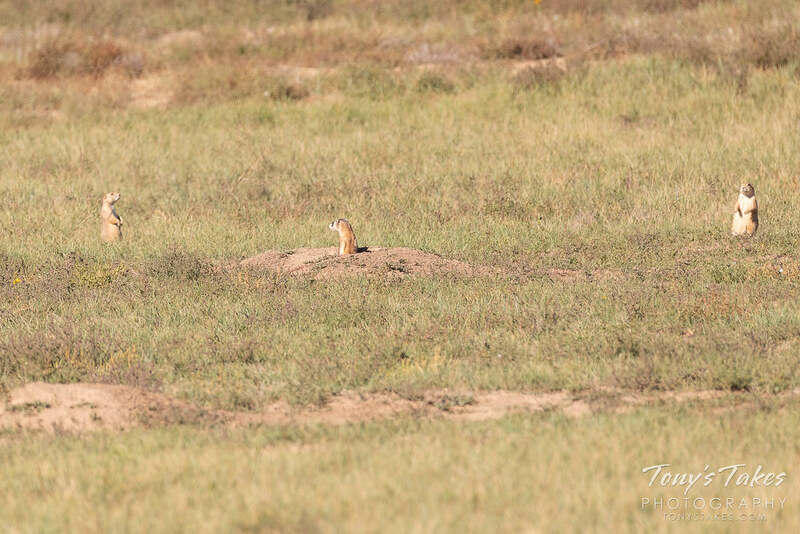 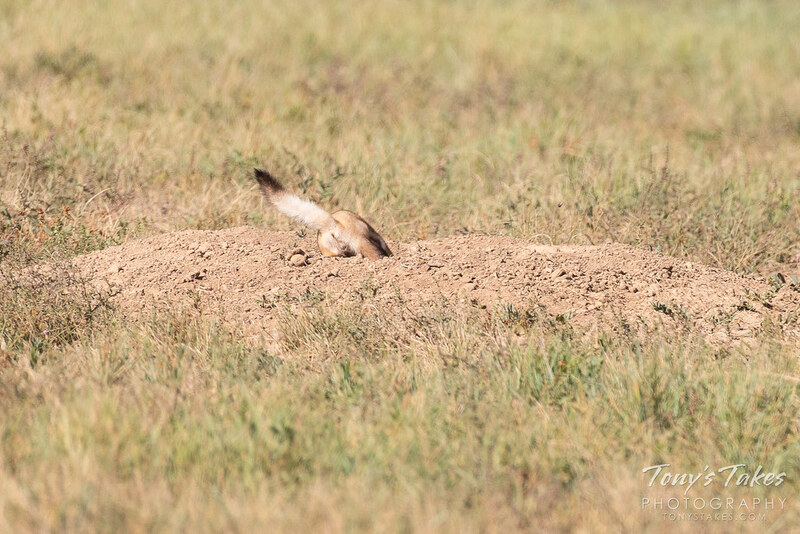 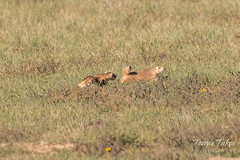 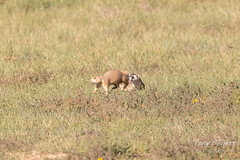 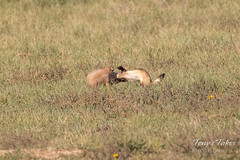 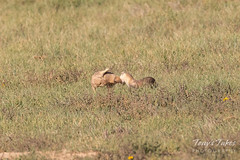 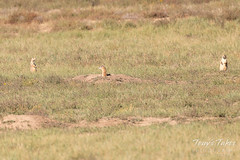 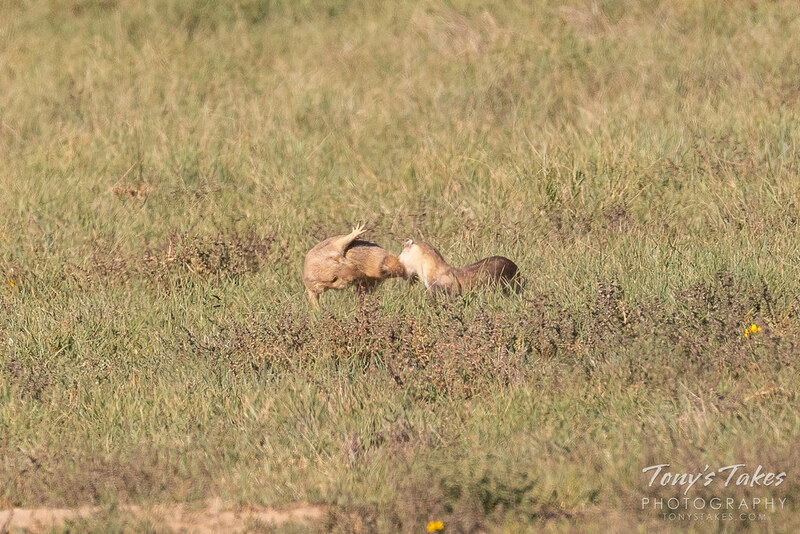 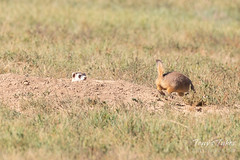 Some, rather dumb, prairie dog then came along and alternately stuck its nose in the burrow and tossed dirt in. 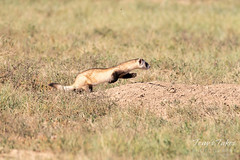 That was all it took and the ferret was on the hunt. 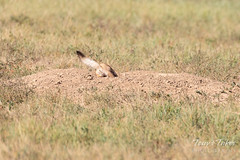 He wasn’t successful but it sure was fun to watch. 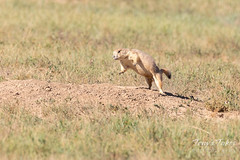 Images are severely cropped as the action took place a good ways away from me. 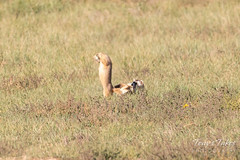 Scroll down to view the entire sequence of images.